All of us have skeletons in our closets: an experience of physical abuse or a traumatic event. It could be anything so embarrassing that we’d rather not talk about it openly. Instead, we keep these secrets buried within us. We protect them closely in order to avoid letting other people know about the scars we hold on to. And as the years pass by, these experiences slowly become deeply rooted in us, ultimately affecting the way we connect with ourselves and other people. If you’ve been struggling with your past and are looking for some kind of remedy, you might have been advised to start doing inner child meditation. But what is it exactly? And how will it resolve your current situation? In order to understand what inner child meditation actually is, let’s first figure out what the term ‘inner child’ means. What Does Inner Child Mean? A quick Google search will tell you that the term ‘inner child’ is widely used in popular psychology. It is a concept that refers to the childlike aspect of the human psyche. This simply means that we all still carry a portion of our childhood no matter how old we are. And because of this, the experiences we’ve had as a child continues to influence the way we live our lives on a spiritual level. This is because our past experiences shape the person that we are today. Our physical appearances aren’t the only things that develop during our childhood years. We form personalities and evolve spiritually as well. Whatever we may encounter as a child will be carried along with us as we age. Although we can no longer avoid any kind of pain or hurt during our childhood, it is important that we take care of our inner child as an adult. Some people may say that our most painful experiences are the ones that affect us greatly and, therefore, we should all focus on healing that certain area of our lives. However, this does not mean that we should exclude other seemingly harmless encounters at all. A negative comment or a lack of parental attention may not be as severe as physical abuse, but it does have a huge impact later on in life. There are plenty of hidden ways through which our inner child affects us, even as adults. The causes may be subtle but its effect on our present day is still great. Here are some situations that may be related to one’s inner child. A wounded inner child is often associated with developmental trauma, which is no surprise considering both often have similar outcomes. The only difference is that the cause should be considerably intense in order for it to be classified as developmental trauma. Inner child hurts are often a bit more low-key than that. Below are some of the most common effects of a hurting inner child. There are generally two factors that impact a person’s mindset. The first one being a person’s natural environment and circumstances, while the other includes the beliefs or values that were passed on to the people around them. Think of someone who always feels entitled; someone who demands others to give them what they want no matter what the cost is. It is not likely that they formed this sort of behavior as an adult. But they might have been raised in an environment where everything is readily available to them. As a child, they probably never had to do any form of hard work to get what they want – these are environmental factors. To top it all off, such a person may have parents who constantly tell them that they only deserve the best; that they should not settle for anything less. As a result, they’ve come to believe that no one or nothing is ever good enough as long as there’s something else better – these are the values and beliefs that formed their mindset. This person’s inner child is hurt in a way that he or she has to live within his own standards. For some people, the standards may be too high that nothing can satisfy their needs. And on other times it may be too low that they begin to devalue themselves or anything around them. Most of us still remember the ghosts that haunt us at night – from the boogeyman under our beds to the monster hiding in our closets. The good thing is that most of these memories may have been creations of our own imagination. But what about the fears that were real? Maybe some of us have witnessed a traumatic accident? Or perhaps some of us had to go through a terrifying experience in our life. Whatever it is, our inner child still remembers them all. If you’ve ever experienced a horrible flight as a kid, you may never want to step inside an airplane ever again. Unless you’ve successfully healed that child within you, you might find it difficult to resolve your fears as well. Did you know that even young kids today can develop eating disorders? It just goes to prove how damaging one’s thoughts about one’s self-image can be. But is it just out of discontent with the way one looks? Studies show that low self-esteem commonly develops during our younger years. When parents are negligent of their own children, their kids will come to believe that they simply aren’t good enough as they are. In the same light, children who are constantly being criticized by their own parents or by their peers will also develop a low self-esteem. When our inner child is still affected by such beliefs, we would continue to believe that we aren’t good enough. This causes us to be highly critical of ourselves or to be overly competitive with others out of jealousy. Escapism is a very common way of avoiding the pain we feel. Sadly, many of us may have learned how to do this at such a very young age. Instead of dwelling in a place that makes us feel uncomfortable, we look for ways to shut ourselves down. Avoiding one’s pain may seem to be the most viable solution, but actually we are unconsciously limiting ourselves from the world. Such people dislike confrontations which evidently means that they are actually unable to handle their own problems. An inner child who constantly runs away from problems will continue doing so. Such a person will have difficulties forming lasting relationships with others, much less form a personal relationship with themselves. Some people who have inner child hurts may claim that they’ve never really had a childhood. In relation to avoiding their pain, their spiritual mind may have unconsciously decided to block off all memories associated with those hurtful experiences. This results in having some missing information on one’s childhood. This might not seem like a very big problem to a lot of people. After all, we all wish we could erase some bad memories from our past. But having missing pieces of our memories is a different thing entirely. Lost memories also entail a lost identity. An inner child whose identity has been lost will constantly struggle with finding direction in their life. Without truly knowing who we are, how then can we decide on anything as we move forward? What Is Inner Child Meditation? Now that you’ve read how your inner child can affect your present life, you may want to find a way to resolve those issues. This is probably because most forms of therapy consider the inner child to be one of the most important elements when healing trauma or abuse. But if you’re not very keen on receiving therapy or if you would simply like to resolve these issues on your own, inner child meditation may be the best solution for you. Meditation has always been used as a way to tap into our subconscious mind. And as we all have come to know; our inner child may be a portion of our subconscious as well. It is only sensible to try utilizing meditation to get in touch with our inner child as well. Inner Child Meditation may be similar to how you would normally meditate. The only difference is that during inner child meditation, you are trying to get a hold of your childhood during the session. Through this method, you will then be able to nurture your own inner child, giving it the love and attention it truly deserves. A guided inner child meditation is not required, but for beginners it may be a good idea to follow one. Just like in other forms of meditation, a certain control over one’s focus may be required. If you are ready to do the process on your own, read on below to find out how. ● To begin the inner child meditation, look for a quiet spot where you can meditate. You may choose to lie down or to sit on a chair. No matter which position you choose, make sure that your body is relaxed and comfortable. ● Release tension from your body and begin doing some breathing exercises. As you exhale each time, loosen up any tightness that you may feel in your body. ● As you continue to relax, try to recall your inner child. Think of all the things you’ve loved as a child. Try to remember your happiest memories. It could be in the form of your favorite TV show or a drawing you always do. ● As the vision becomes clearer, you are then meeting your inner child. Welcome your inner child with an embrace and hold him or her close to you. ● Spend some time with your inner child. He or she may continue to reveal memories that you may have forgotten. During this time, you might be exposed to your pain or even your fears. Take your inner child’s hand and go through them together. Remember that you are both no longer alone. ● During this time, allow yourself to feel all those emotions – you may begin to cry or shake in fear. Continue to breathe steadily, accept all those feelings as they are. For in a moment, you will be able to let them all go. ● As you have taken in all the emotions, it is time to let them all go. As you exhale, remember to release your tensions as well. ● The next step is to nurture your inner child. Speak to them and remind them that they are loved and that they are important. Say sorry for all the things that have happened and for continuing to ignore them in the past. 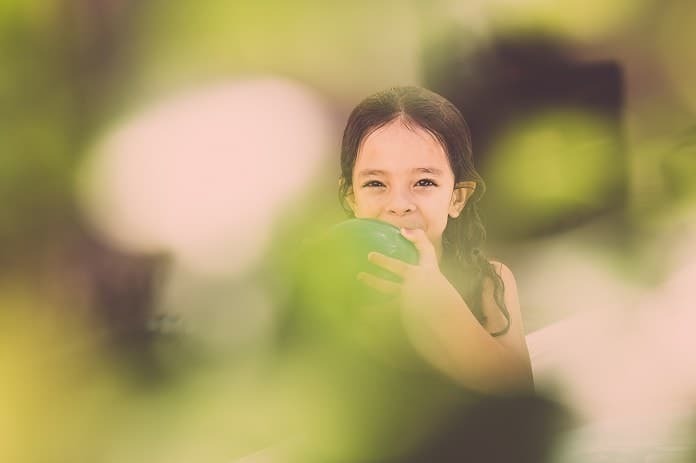 Apart from the more traditional way of meditation, there are also other less intensive ways through which you can connect with your inner child. As a kid, playtime was an everyday part of our lives. No matter how dark our childhood might have been, there is still a glimmer of happiness found during playtime. If you try to remember that moment, it will become easier to associate all the other good memories you’ve had as a kid. With that said, give yourself some time to play every now and then and try to revisit the things you’ve enjoyed as a child. At the same time, continue to speak to your inner child. Whenever your inner child gets confronted by old enemies once again, let them know that you are behind their backs. Continue to nurture them by reassuring them of your love and attention. Inner child meditation may not be very simple for everyone, especially for those who do not wish to revisit their past. But it is important to note that we cannot move forward without tying some loose ends from our past. If we want to live a life free from the burdens of the past, one very simple way is to nurture our inner child.